Charmaine Horton is a South Suburban community organizer working out of Matteson, Illinois. And part of that role has been campaigning for Gov. 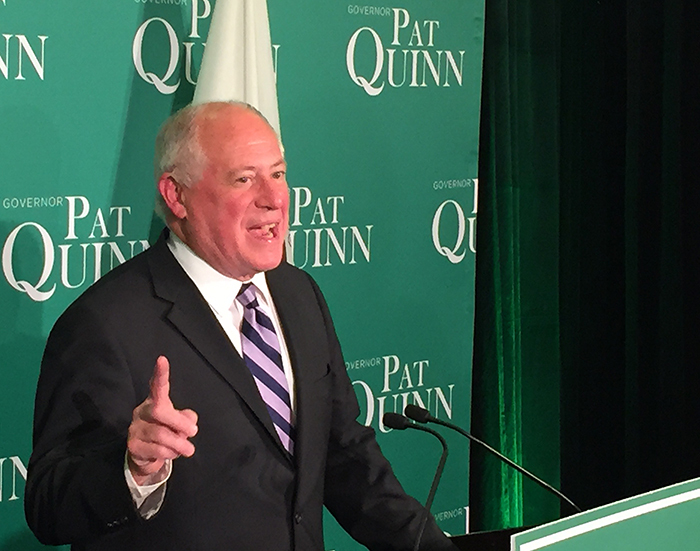 Pat Quinn's re-election bid. This optimism came before the results deemed Republican challenger Bruce Rauner the new governor of Illinois. Horton said she and other organizers faced many challenges in this campaign. At least 2,000 election judges didn’t show up for their shifts Tuesday morning, according to Chicago Election Board Spokesman Jim Allen. Election officials say judges received a phony robocall over the weekend advising them to show up for training or forfeit their Election Day duties. Kent spoke just before Quinn’s speech in which he refused to concede. He declared his intent to make sure every vote is counted. Chicago Board of Election Commissioners Chairman Langdon Neal told CBS Chicago the judge shortage was not likely to have a negative impact on the results. He said city election officials contacted voters they believed were not able to cast ballots early Tuesday morning. Chicago resident and minimum-wage worker Jessica Silva was joined by numerous members of the Service Employees International Union or SEIU Monday night in support of the minimum wage increase in Illinois. Silva and other members of the organization spent Election Day canvassing door to door for the cause. “I live in my aunt’s basement with my husband and my mother-in-law, and for some reason working full time and overtime is not [enough] for a home or to even start a family,” Silva said. Quinn has previously pledged to support a minimum wage increase to $10 from Illinois' current $8.25. More than half of SEIU’s 2 million employees work in the healthcare field, including Jessica who is employed at a nursing home in the city.